Frank Oliva focuses his practice on complex commercial litigation, securities litigation, white collar defense and bankruptcy litigation. He is a thoughtful and conscientious litigator who aims to deliver cost-effective and meaningful solutions for his clients. In addition to his practice, Frank is a regular contributor to BakerHostetler’s year-end Cross-Border, Government Investigations, and Regulatory Enforcement Review, providing news and commentary on recent investigations and enforcement proceedings, trends and issues of interest. He also serves as an adjunct professor of law at the Maurice A. Deane School of Law at Hofstra University, where he draws upon his experience to teach and mentor law students learning the practical skills they will need to become effective litigators. Senior member of the BakerHostetler team working as counsel in the representation of Trustee Irving H. Picard for the SIPA liquidation of Bernard L. Madoff Investment Securities LLC. Focuses on the investigation of and litigation against corporate entities and feeder funds in connection with the SIPA Trustee's efforts to recover funds for the BLMIS estate. The team’s efforts have led to the recovery of more than $13 billion in assets from Madoff’s decades-old Ponzi scheme, the largest financial crime in U.S. history. Member of the team that represented a former London-based J.P. Morgan managing director whose cooperation was sought in the investigation related to a multibillion-dollar trading loss for the bank. Through aggressive defense of the client, the team secured a rare non-prosecution agreement with the Justice Department and agreements with other regulatory authorities, which enabled the client to cooperate with federal prosecutors in the continuing investigations. Secured $7.8 million for a North Carolina telecommunications company as payment for an arbitration award entered by the International Centre for Dispute Resolution, the international arm of the American Arbitration Association. 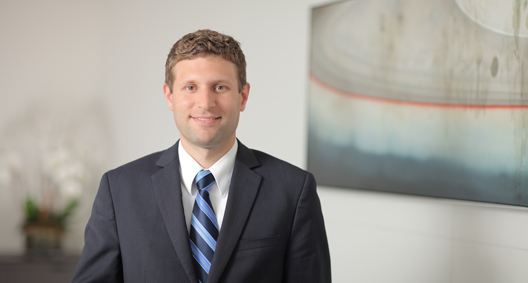 Member of the team that secured the dismissal of a multibillion-dollar securities fraud class action against a former Pfizer medical director named as an individual defendant on the eve of trial in federal district court. Represented an individual subject to an insider trading investigation who had invested in a securities company prior to its acquisition by a major private equity firm. Conducted an expedited internal investigation of a registered investment adviser. Currently representing an investment management firm and its senior management against trade secrets and other commercial claims brought in the Commercial Division of the Supreme Court of the State of New York. Represented a client on death row and filed an appeal to sentence.